The Cast G&G is one of the latest members in the vast Cast Puzzle family, just released in June 2013. Curiously enough, it's not the first time Hanayama uses entangled letters for the theme of their Cast Puzzles. 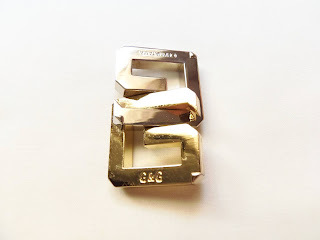 In fact, there are three other puzzles from Hanayama that also use letters: the Cast H&H, the Cast S&S and a slightly different Cast ABC (see PuzzleMaster's version). Despite the fact that the Cast ABC has three letters, all of the above mentioned puzzles are comprised by only two parts. The Cast G&G was designed by the South Korean Jin-Hoo Ahn, who just made his first contribution for the ever-growing Cast series. The simple, and yet quite elegant design is a little deceptive, since it makes it look like an easy puzzle when it's not as easy as you'd expect. 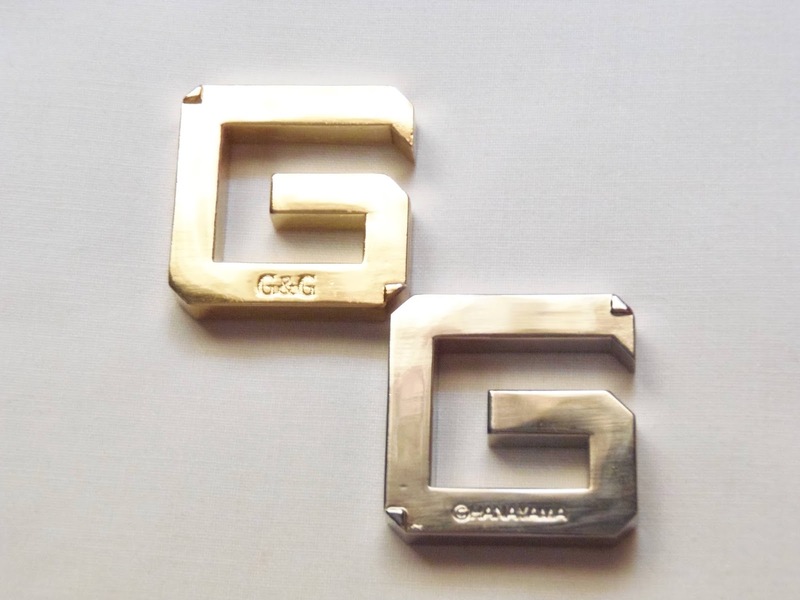 The goal of the G&G is to just separate both pieces and put them back together afterwards. As a flagship brand of Hanayama, Cast puzzles are always of high quality and have a stunning presentation. The Cast G&G is no different and looks amazing... At first, unfortunately. I was actually rather disappointed with the puzzle's appearance after just a few uses. The two parts are coated with different colors, silver and gold, but the gold one is now heavily scratched due to straight edges on the pieces. It's almost impossible to prevent, unless you don't play with it. This was something seriously overlooked by Hanayama in their quality control. The silver piece is ok, but the gold one looks like it was attacked by an angry ninja. It looks that bad. If you're a puzzle collector, but like to play with your puzzles I highly recommend you buy two copies, one for display and another to play. Let's forget about the scratched piece for a moment. You may be wondering about the challenge of the G&G itself and how is it compared to others. Surprisingly enough, and as a Hanayama level 3/6, I wasn't expecting too much of a challenge to solve it, but after spending about 15 minutes to solve it, I knew that its simple design was more complex than it led you to believe. There's these protrusions at each of the pieces that block most of your moves and only a correct sequence of movements can free the two pieces. There are four of these protrusions in each of the pieces, two in the front, in each end of one diagonal, and another two in the back along the other diagonal. The two pieces are identical except for the position of the protrusions which are found on opposite directions. I won't go much over the solution, but involves a few rotations in the right spots. Solution: Click here to download a .pdf with the solution. Availability: You can purchase the Cast G&G at PuzzleMaster for $12.95 CAD. You can also browse the entire Cast series here.